Manimegalai is a famous television presenter and anchor from South Indian, who has been working with Sun TV since 2010. Known for her TV shows like Hot Seat, Freeya Vidu, Franka Sollatta and Black, this budding anchor has made a name for herself in the television industry. Over the years, with her unique way of presenting the show, she has overwhelmed the love of several people while also build a strong fan following on different social media platforms. Take a look at this biography that profiles detailed information about her childhood, career, personal life, family, height, weight, vital stats, achievements, net worth and fun facts. Manimegalai was born on 7 May 1992, in Chennai, Tamil Nadu, India. She attended St.Johns matriculation Higher secondary school and graduated with MBA from SRM University. Manimegalai married her long-time boyfriend Hussain on 6 December 2017, in Chennai. Her parents didn’t accept their love citing religion, however, she tried to convince them. Failing so, she went against her parents and married him. 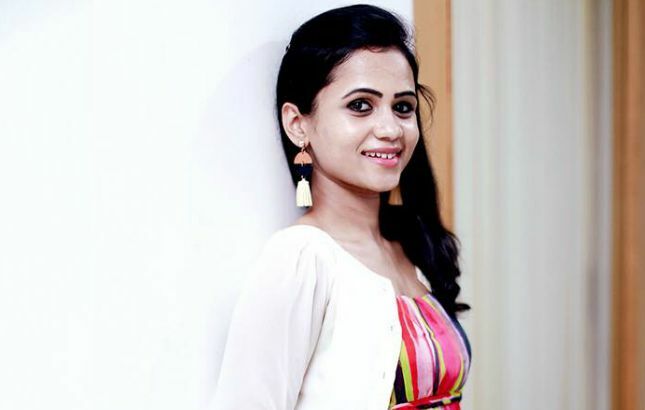 Manimegalai began anchoring TV shows whilst doing her master’s degree. She joined Sun Music as a Video Jockey (VJ) and debuted with a TV show “Franka Sollatta”, which quickly became popular among television audience, earning her a substantial amount of fans. Shortly after, she began hosting reality TV shows, special shows, celebrity interviews, and other events. She has also hosted several programs outside the screen like movie audio launches, award functions, and many other activities. She is currently one amongst the happening anchors in Tamil television business. Currently, she hosts Pudhu Padam Epdi iruku and Kollywood Diaries shows on Sun TV and Sun Music, respectively. Some of her notable TV programs include Hot Seat, Freeya Vidu, Franka Sollatta and Black. She hasn’t appeared on films yet.